Each year the ASPCA posts the top toxins which they received calls for, with human prescription medications topping the list and over-the-counter medications at a close second! Check out the list from 2016 for more information. Many of these ingestions can require lengthy hospital stays and treatments, with some having much better outcomes than others. With this blog, I will focus on potentially toxic foods to dogs and cats. This is an artificial sweetener ingredient which is used in many types of foods, such as: candies, chewing gum, breath mints, tooth whiteners, and is also sold by the bag for use in baking. In the USA, there is a type of peanut butter which uses xylitol as its sweetener! The body sees xylitol as being a sugar molecule, and releases insulin to allow for sugar to be used by the body. Unfortunately, xylitol cannot be used by the body as a sugar. Insulin reduces the glucose available, and the body doesn’t have enough sugar around to be able to perform normal activities- these animals become ‘hypoglycemic’ (have low levels of blood sugar). The hypoglycemia can cause many issues such as lethargy, vomiting, inappetence, and even liver destruction. Grapes and Raisins can cause kidney damage to failure, though the exact mechanism is unknown, the level of damage depends on the amount eaten, and the individual’s susceptibility to this toxin. There are a few ingredients which can cause issues with dog. The fats in chocolate can predispose to pancreatic inflammation. Theobromine can lead to increased heartrate, vomiting, diarrhea, tremors, seizures, hyperactivity, coma and death- depending on the dose and type of chocolate. The higher the concentration of theobromine, the higher the risk, with bakers chocolate ingestion having the highest concern of toxicity. Onions and garlic cause gas production in the GI tract, which leads to vomiting, bloating, inappetence, lethargy and diarrhea. Even a small amount can make a dog feel quite ill! Bones- cooked or raw- can cause many different issues. The most common health concern is broken upper premolar teeth, leading to the tooth needing to be removed. Other issues such as bones becoming stuck along the GI tract (and potentially penetrating through the intestines) are concerning possibilities. High fat component in foods can lead to pancreatic inflammation, vomiting, and diarrhea. Some of these animals can get such terrible pancreatic inflammation that it can lead to pancreatitis- where the pancreas releases digestive enzymes onto itself. Pancreatitis is a painful condition, causing vomiting, diarrhea, and often requiring hospitalization. 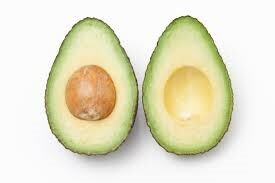 The chemical called persin in the avocado plant (leaves, fruit, seeds, and bark) can cause severe vomiting and diarrhea with pets such as dogs and cats. But also cardiac and respiratory illnesses with birds and rodents! Macadamia nuts are used in many baked goods, but can cause vomiting, diarrhea, depression, and a fever if ingested! Walnuts and other nuts, especially raw off the tree, can grow fungi which can be toxic to animals and is best if avoided. Raw food can pose an infection concern, since raw meat can carry bacteria such as Salmonella or Campylobacter. This can cause diarrhea, vomiting, inappetance, and can increase the risk of infection in other areas of the body. Dogs and cats have very small amounts of the enzyme lactase, which would break down milk and milk products. This leads to these products being able to cause diarrhea, bloating and vomiting in our patients. Ingestion of uncooked bread dough can cause major digestive upset such as swelling in the stomach/intestinal tract and severe illness! If you think your pet has eaten something they shouldn’t have, please give us and/or Animal Poison Control a call! Sometimes we will recommend you call the Animal Poison Control Hotline at 1-888-426-4435. There is a fee for this service, but it allows for toxicology and internal medicine specialists to evaluate your pet’s case, helps direct the best treatment course.